Chiou, T.-C.，Hwang, S.-J.，Chung, L.-L.，Tu, Y.-S.，Shen, W.-C.，Weng, P.-W., "Preliminary Seismic Assessment of Low-Rise Reinforced Concrete Buildings in Taiwan." 16th World Conference on Earthquake Engineering, 16WCEE 2017, Santiago, Chile, 2017, Paper No. 2977. 邱聰智, 何郁姍, 翁樸文, 沈文成 (2018), " 20180206花蓮地震震損建物資料庫," https://www.ncree.org/recce/20180206/. T.C. Chiou, Y.S. Ho, P.W. 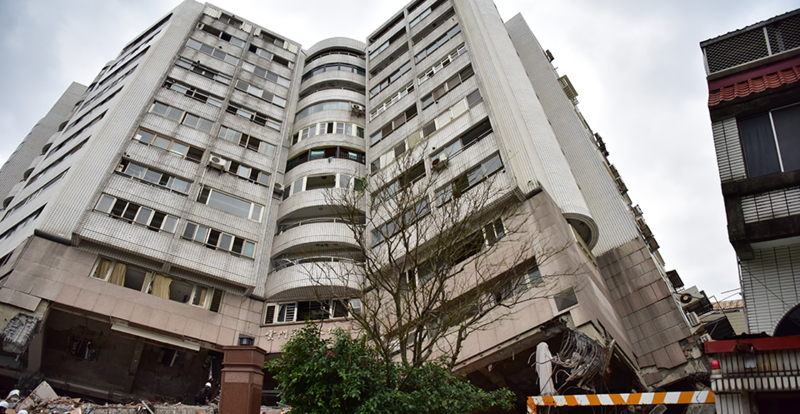 Weng, W.C. Shen (2018), "Building Data of the 20180206 Hualien Earthquake in Taiwan," https://www.ncree.org/recce/20180206/.